#BigFertility: Selected for film festival, plus free on Amazon Prime! 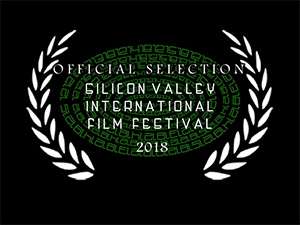 We are thrilled and honored to announce that #BigFertility: It’s All About the Money is an official selection for the 2018 Silicon Valley International Film Festival! The festival will take place Dec. 12-15, and we hope Kelly’s harrowing surrogacy story leaves a lasting impact on the filmmakers and tech professionals in attendance. We work tirelessly to build momentum around the topic of surrogacy, so acceptance to a festival like this is a welcome boost to our efforts to Stop Surrogacy Now. But you don’t have to be at the festival to see the film — #BigFertility is now available for FREE on Amazon Prime! Having our films available through such a large and well-known platform has made online viewing easy and accessible for supporters who may be reluctant to rent or purchase a film from a lesser-known website. You don’t have to be an Amazon Prime member to watch our films; you can rent or purchase them through the same Amazon link. #BigFertility is also available on Vimeo, along with all our other films and several short videos. Whatever method you choose — Amazon Prime, Vimeo, rental, purchase — please watch (and share) our films! Thank you to everyone who has contributed to the success of this film, whether you donated to the Kickstarter, attended a screening, shared the trailer online, watched it with a friend…we couldn’t do this important work without your continued support!